According to some, the highest standards are not boasted about, but rather, proven. The Bell 206 is a line of two-bladed, single or twin-engine helicopters, made by Bell Helicopter in Mirabel, Quebec. Bell takes its family of helicopters very seriously, and should you be fortunate enough to charter one, you will immediately understand why. The Bell 206B3 Jet Ranger is time-tested, rugged and reliable for any helicopter charter adventure. While it is rugged, it is a surprisingly smooth and agile ride. Keep in mind that a helicopter is never going to feel like a Learjet, but they can be fairly smooth! There are different perks to chartering a helicopter vs chartering a jet. Helicopter charters tend to be for shorter trips, and provide an almost 3D view of your surroundings, which can feel like an extreme sport if you are in a beautiful area, such as Miami and South Beach! The Bell 206B3 model has a remarkable safety record and is among the most elite and popular in the air charter industry. 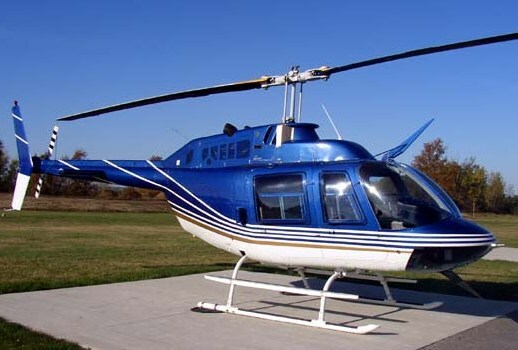 Perks of this helicopter model include Great safety record Low operating costs Robust cabin structure Superior comfort This is an ideal chopper charter for seeing the gorgeous South Florida skyline and striking Atlantic coastline. When you are ready to experience a helicopter charter in the style that they were intended, let Imagine Lifestyles deliver.